Last year I made a jacket from one of the Kana’s Standard books, and made a dartless FBA, a technique I used again this year when I added a FBA to my LB Pullover. I’ve been asked for a tutorial on how to accomplish this on a couple of occasions now, but I really lacked the time to do it. However, I needed to trace the pullover pattern again and reinstate the bust adjustment, so I figured that was as good a time as any to photograph the process and do a little tutorial. Bear in mind though, that this technique works for me, it might not for you! This is just my way, and I’m sure there are other methods out there. Start by figuring out how much you need to add. With this pattern I didn’t need to add excess width, just depth to avoid the drag lines. So I cut the front piece from just under the shaping for the sleeves and angled upwards to roughtly the bust point and then went across the front, perpendicular to the centre front line. I added a piece of paper to the top piece, measured 3cm down (the depth I’d figured out I needed) and drew a line parallel to the line I’d initially cut, then taped the bottom pattern piece to that line, ensuring the centre front line was straight. 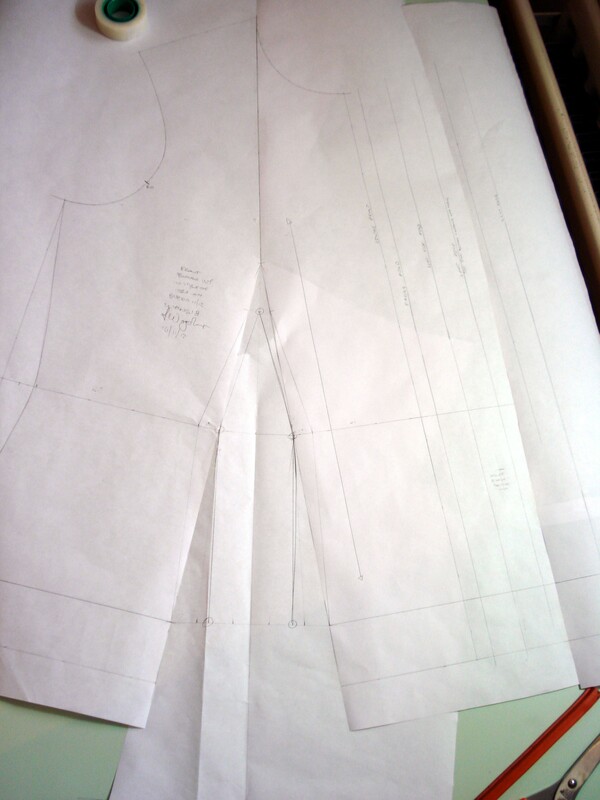 The next step was to draw a line from the bust point, which in my case was 12cm from the CF line & halfway through the added 3cm, to the hemline. 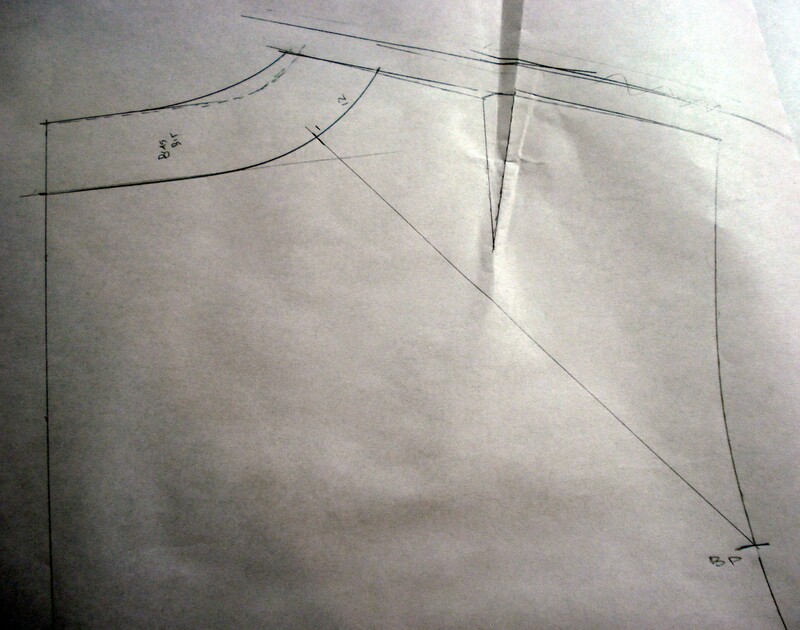 Then draw a dart from the bust point to encompass the added width at the side seam. Cut up one of the dart legs and down the line you’ve just drawn to the hemline. 1. Add the fba, or length. 2. Mark the bust point or apex. 3. Draw line from apex to hem, draw dart from added width. 4. Cut up dart leg & down line from pust point. Now close the dart in the paper by pivoting at the apex, this opens a dart from the bustpoint to the hem. Tape a piece of paper in that gap. 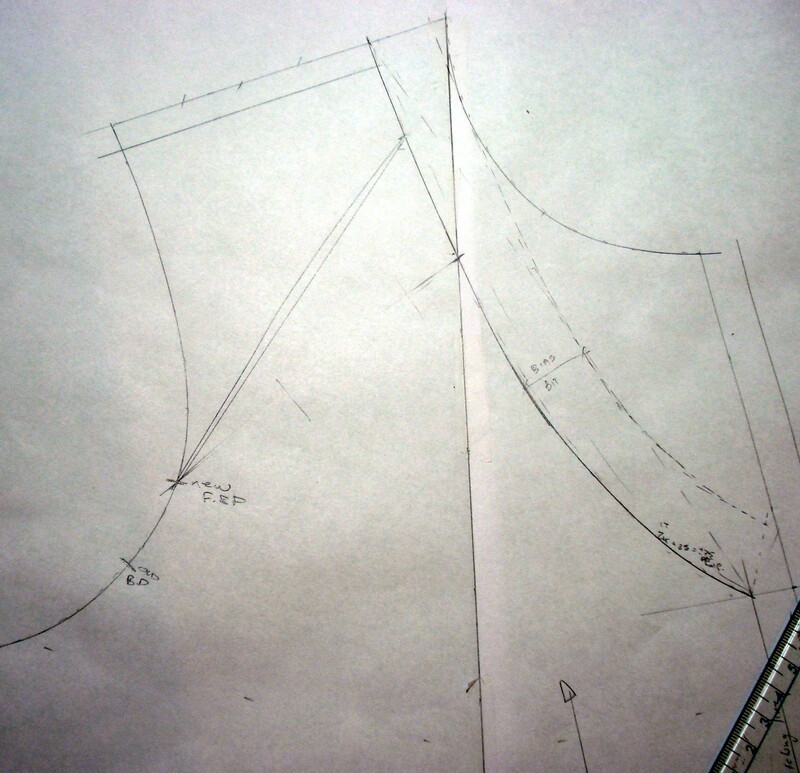 Measure along the hemline to establish the width of the dart. This will need to be removed at the side seam. Mark the same measurement in from the side seam, along the hemline. 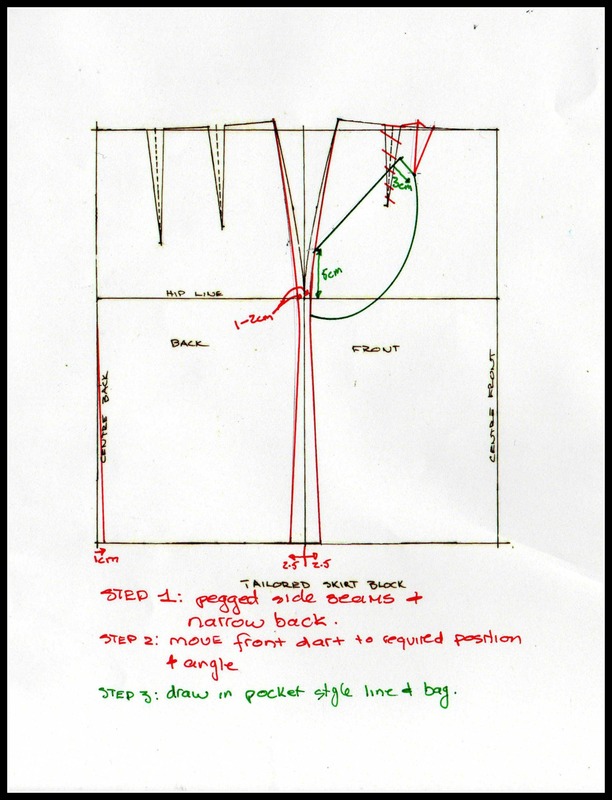 Draw a line from the now closed side-seam dart to the mark on the hemline. This will be your new side seam. 1. Close dart in side seam. 2. Measure new dart width. 3. 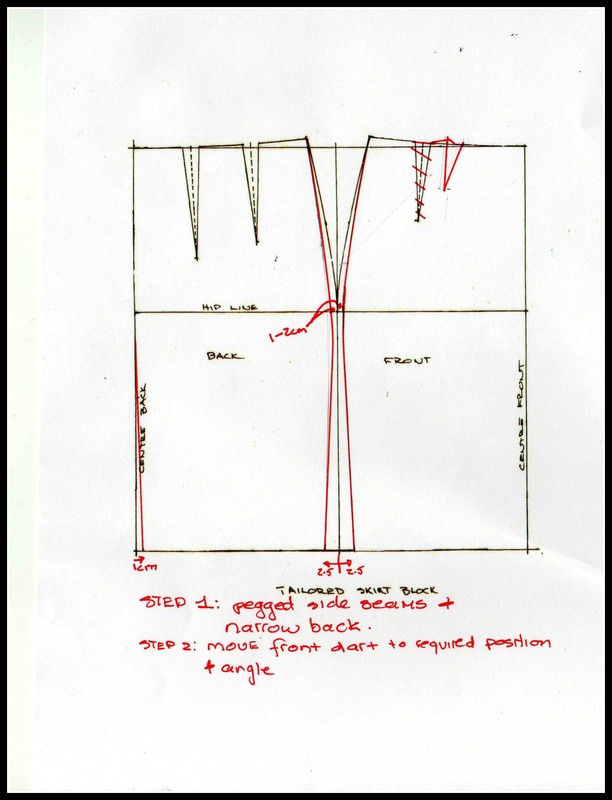 Mark that width on hemline from side seam. 4. Draw new side seam. Check the length of the new side seam by placing the back side seam along it, the side seams need to be the same length! Chances are the new side seam will be a little longer than the back. 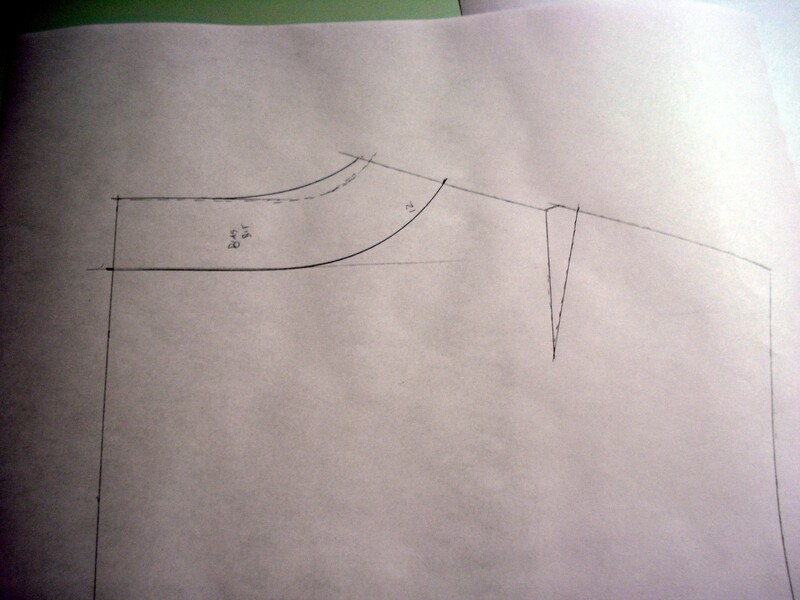 So mark where the back hemline comes to on the front and join that to the existing front hemline with a slow curve. Cut off the old side seam along with any hem, this is basically the dart you added. And that’s it! Remember that if you’re lengthening anything that has a front opening and facings to that opening, to lengthen the facings too!! 1. New side seam. 2. Check length of new front side seam against existing back side seam length. 3. 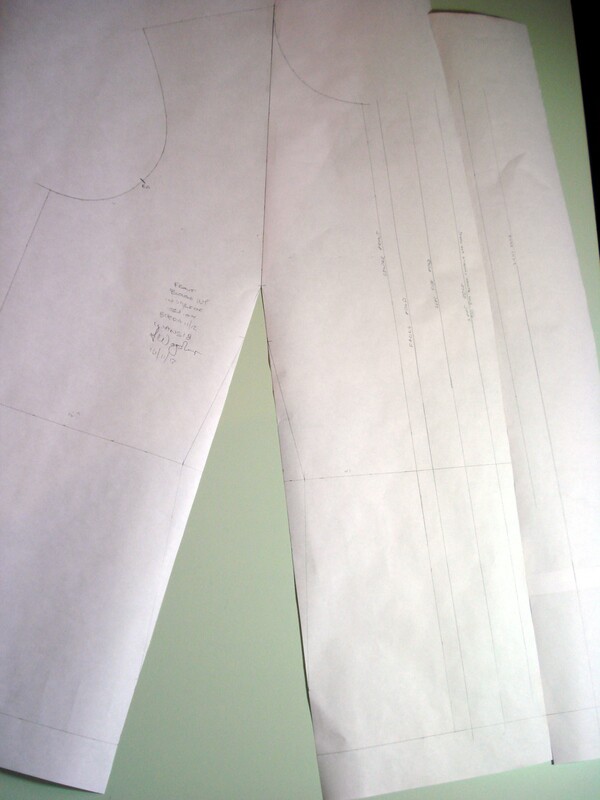 Draw new hemline to meeet new side seam length. 4. Remove the dart! I hope that’s all as clear as mud! 🙂 Happy sewing people, now I need to get cracking, I leave in a week and have LOADS to still get done before that! Last week I found a bargain at a local charity shop – 3m of what I suspect is a wool and silk herringbone fabric in sage green and off white. It was just hanging on a hanger in the curtains and duvet covers section, looking sad and unwanted. Well, not by me! It didn’t take me long to decide I was having it, even though all I’d gone in for was a couple of books. I popped it in the washing machine straight away and let it dry. It was when I ironed it that I thought it might have a silk content, and a bleach test on the fibres confirmed that. Woo! But what to make?? I didn’t think too long, I realised it would be perfect to make another pair of Kana’s Standard trousers B-a. Not for now, it’s too cold, but for the spring they’d be great! I though I could line them, or have a Hong Kong finish on the seams, put in jetted or welt pockets at the back instead of the patch pockets – and generally just fancy them up a bit. All because the fabric was so nice! The fabric frays quite badly, so the first thing was to overlock all the edges and then interface where necessary asap. I don’t always interface the hip yoke pocket opening, but on this stuff with it’s tendency to wiggle around, interfacing was definitely called for. The pocket facing in understitched and then I topstitched too – just to make sure it was all secure and wouldn’t stretch out when I over use the pockets. Hong Kong finish was scrapped, this fabric is too drapey and that would stiffen the seams too much. I also didn’t line them in the end because the colour needed didn’t exist in the stash with enough meterage. I didn’t want to buy anything, it would cause delays (shock – horror!) and I’m trying (not very hard!) not to buy stuff!! Oh dear, that didn’t last long, did it?? But I did make fancy pockets on the back! I cut the standard patch pocket out of the outer fabric, and another from the limited lining. Then I cut 2 bias strips 6cm wide by 16cm long. I wanted narrow jetted pockets, possibly with a loop and button to hold them closed. For the loop I cut a bias strip 15cm long and 3cm wide. This I fed through a bias tape gadget and then folded double and topstitched shut. Much easier than making a strip and then trying to turn through. I just knew this fabric wouldn’t like that very much. 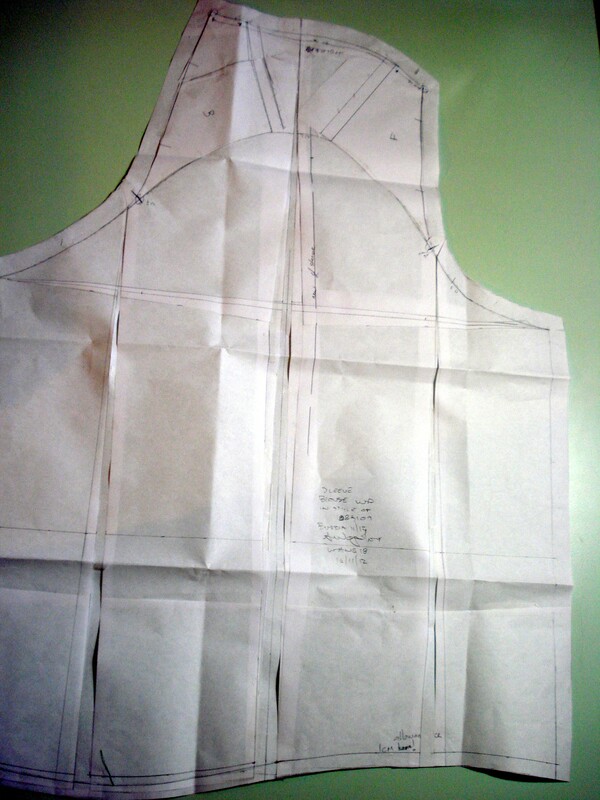 To construct the pocket, these are the steps I followed. First, interface the bias strip for the welts, then interface the fabric on the trouser piece, wider and longer than the pocket opening. I drew a line with blue chalk down the middle of the bias strip – on the wrong side, marking the begining and end of the pocket opening. Then I stitched, starting and ending exactly on those markings with the edge of my sewing machine foot on the blue line, one line on either side of the centre marking. Next, I cut down that centre line and cut diagonally to the end of the stitching. Make sure you cut straight! You don’t need to stitch a box, in fact, that can hamper things. Now turn one side at a time up and press well, all along the fold. Once that’s done, turn the bias strip to the inside and press those little triangles back well. Now you have to use the “seam allowance” as the “stuffing” for the welt, and fold the bias strip down to the inside over it. Make sure you’re folding straight and accurately, it will show on the outside if you don’t. Pin and press and baste as you feel necessary to get the right shape/line. Make sure the welts aren’t overlapping or smiling at you, the folded edges should be touching “kissing”, as my tutor used to say. Now you can stitch in the ditch along the length of the welts. Then turn it all upside down, fold back those triangles and stitch along the fold, securing the edges in well. Now you’re ready for the pocket bags. Start with the lining, line the fabric up with the bottom edge of the bias strip on the lower welt, right side of lining to wrong side of trouser. Lift the seam allowance up and pin and stitch from the welt side, not the lining side. I tend to stitch twice, once roughtly down the middle of the allowance, this could be called either a holding stitch, or a reinforcement stitch, it does both jobs! Then I go back and stitch again as close to the welt stitchline as I can. Fold the lining down and press well. If you’re going to use a button loop, now’s the time to get it in. Mark the centre of the pocket opening and pin the loop to the inside of the welt, centred on that marking. (I usually use a pin to mark.) Again, lift up the allowance and stitch the loop to the bias strip. Now you need to whipstitch the welts together. This keeps the pocket closed while you fiddle in the inside sewing the pocket bags together. Now line up the pocket fabric with that allowance and stitch as you did for the lining, right side of pocket fabric to wrong side of trousers. Once you’re done, smooth the pocket bags down and line up the sides. You will have a longer lining piece than pocket bag, just trim it to the same length, pin all round and stitch. I then overlocked the pocket bags together. All that’s left is to sew on your button, and voila! You have a fancy pocket! Now I just need weather suitable to wear these in, it’s a bit chilly here at the mooment, but not half as cold as it is in the States! Keep warm guys!! Work in Progress Wednesday – with a bonus tutorial! Not your usual WIP today, because today is about tracing and toiling and fitting. I had a list of new patterns to trace for the girls, one pair of trousers, a blouse, sweatshirt, mini skirt, coat and sleeveless top. I’ve got them all traced from their Burda magazines and decided to start with toiling the trousers and the coat first. The coat is on both girls’ lists, and I’ve been wanting to make it since I saw it in the February Burda last year! A whole lot of tracing! The trousers are 101 from December 2017. Daughter No2 fell for the shape and the ruffle on the hem. The fabric chosen to make them up is from the stash, some dark stretch denim left over from a pair of Birkin Flares that I made for myself. I traced the 36 & 38 and toiled the 36, graded to the 38 over the hip. 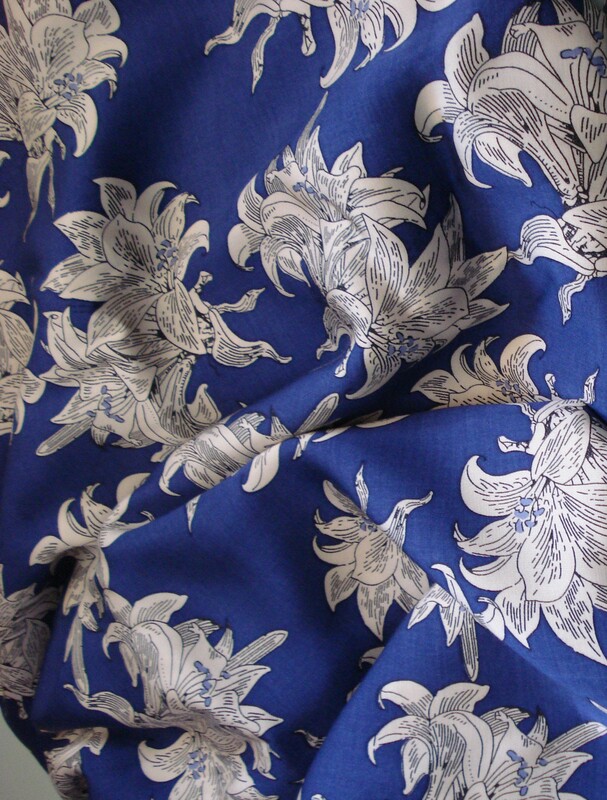 When the toile was tried on though, it wasn’t necessary, so I pinned it out and adjusted the pattern accordingly. What we did need to do though was add pockets!! You need pockets, just like ladies love them in their dresses, we love them in trousers! So I drew an outline of where it would need to be directly on the toile while daughter no2 was still in them. She decided the angle, width and depth of the pocket and I drew around her hand. The other adjustment I needed to make was to take a horizontal dart out of the trousers below the bum. The pockets are welt pockets on a slight angle. The welt is 1cm finished depth, the pocket opening is 12.5cm. The pocket lining will be cut from a thinner, cotton fabric while the bag will be from the denim, so you only see denim when the pocket is opened. I rather like this sort of pocket in trousers, it’s nice and neat. So if you’re worried about welt pockets, here’s how I made these, after the trouser toile was already fully constructed, which is not really ideal! Attach welt, 5mm seam allowance. Pin pocket bag right side down to attachment line. Sew exactly on the line, start and stop exactly in the corners. Cut through the pants halfway between each sewing line, cutting triangles at the ends and ensuring to snip to, but not through, the stitching. Turn pocket bag to the inside and press well, turn welt up and press seam allowance well. Ensure the triangles are pushed to the inside as well. Pin the pocket lining to the welt seam allowance. Stitch from the trouser side so you can see your original stitch line and stitch on that line or only just off it. Press well and close the pocket, either with pins or basting stitch. Pin the pocket lining to the bag. Moving the trouser piece out of the way to reveal the triangles, welt and pocket pieces below, stitch across the triangle and secure well. Sitch the pocket pieces together around the edge, ensure you secure the lower triangle and welt in the seam. Pin the top and sides of the pocket to the top and sideseams of the trouser pieces. Remove the pins and admire your new pocket! I know a lot of people are scared of welt pockets, mostly because you have to cut through your fabric, and what if you’ve made a mistake!? The thing with these pockets is to be precise and careful. Make sure you mark very carefully the placement and or attachment lines onto the fabrics, using whichever method you prefer. The critical thing that I learnt was to be exact on the start and stop points, you have to mark those very clearly. It also helps to baste everything instead of relying on pins, because the fabric will still move. But they’re do-able! Practise on scrap fabrics until you’re more confident with your methods, but don’t avoid them, they look great! Now I’m off to toile more patterns. I might even squeeze in another project for myself before the end of the month. I fancy a new shirt. 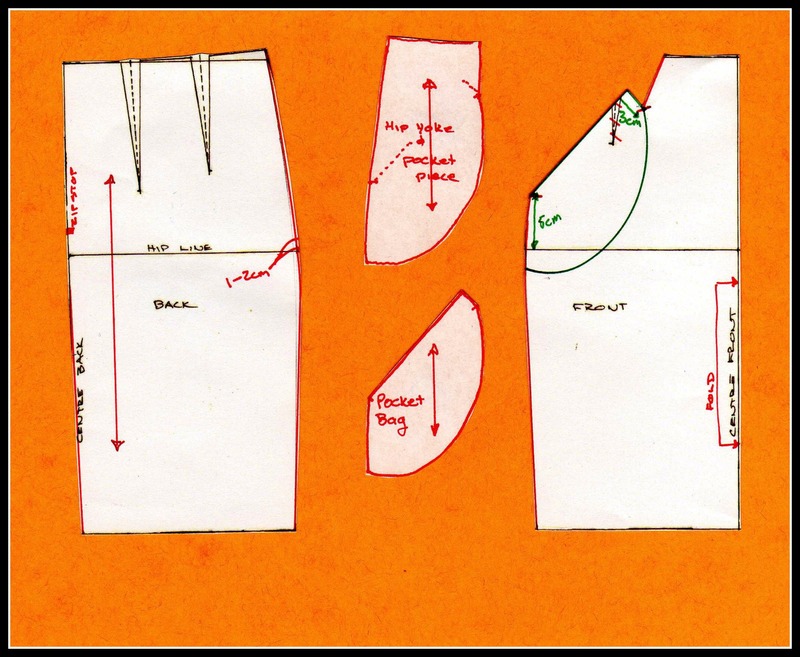 Author Anne WPosted on 26/09/2018 Categories Commercial patterns, tutorialTags burda pattern, how to make welt pockets, trousers, tutorial, welt pocket3 Comments on Work in Progress Wednesday – with a bonus tutorial! Can you put an invisible zip into a French seamed seam? Of course you can! This was a question posed on twitter last week, and I replied yes, you can, but it’s hard to convey just how to get it done well in 140 characters. So while I was making up a Gabriola for Daughter No2 in chiffon, I thought I’d photograph the process of inserting the invisible zip with a French seam. Strapped in? Here goes! First of all, stabilise and support the fabric to carry the zip. If you’re using a French seam in your fabric, chances are it’s fine, soft and not very strong. I used a 3cm wide strip of a fine sheer polyester fusible. You can buy the same interfacings that I use from Gill Arnold via the post. Then sew in the zip as you usually would. Once it’s in, the fun can begin. Stabilise the area behind the zip & insert as normal. Snip the seam to the zip stop mark or the base of the zip stitching. Make sure you do not snip past the limit of the seam allowance, or you’ll be in trouble later. Now you can align the seam edges together, with wrong sides together and sew the first part of the French seam, from the hem up to the snip. Trim that 1cm seam down to just under 5mm, neatly. 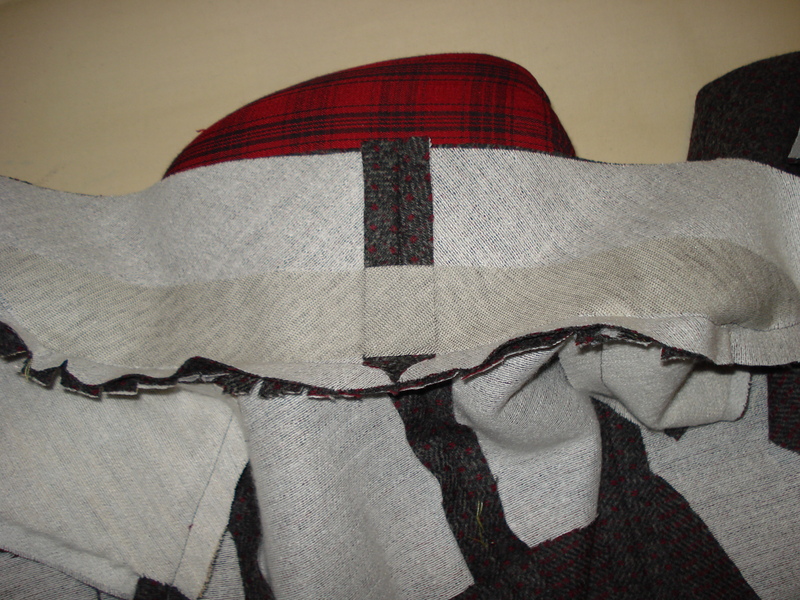 Press to one side and turn the fabric over to enclose the raw edges and sew the remaining 5mm of the French seam. Work from the hem up to the zip stop and sew as far as you can with the machine. The last part of the French seam needs to come as close to the zip stitching as possible, without distorting the seam. You will probably have a gap of at least 5mm. This isn’t a problem, you’ll stitch that shut from the outside by hand. I use a ladder stitch to close the hole, going up and down the ladder a couple of times to make sure the stitching is strong enough to survive Daughter No2 yanking the zip down too hard! The finished zip & French seam from the right side. 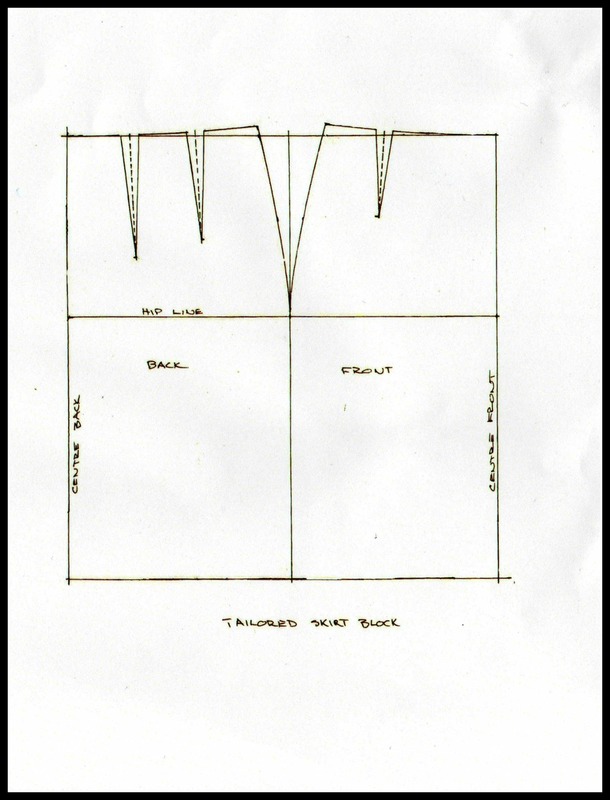 Author Anne WPosted on 26/06/2014 Categories Commercial patterns, joined up sewing, The Monthly Stitch, tutorialTags French seam, invisible zip, tutorial19 Comments on Can you put an invisible zip into a French seamed seam? Of course you can! Here it is then, a tutorial to make your own Veronica wiggle skirt. Now bear in mind that this is just the way I did my pattern. Every patterncutter has their own methods. This one works for me. There will be some re-working required, all depending on exactly what you want to end up with, so be prepared to change measurements, angles & distances – and making more than one toile! Firstly, trace off your skirt block. If you don’t have one yet, here are some instructions. The length will be up to you, but should be a decent length to “wiggle” in! I made Veronica 68cm long, from the waist. Daughter No2 is pretty tall though, so go for a length that hits you just below the knee for a good look. 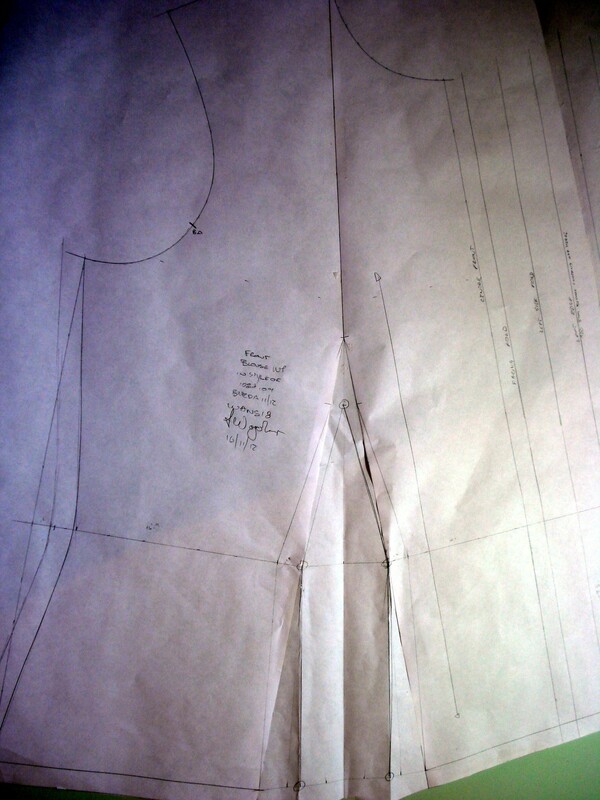 Your traced skirt block, fitted and altered to your figure. The first thing I did was to change the shape of the skirt. I took 2.5cm off the hem line on each side seam and about 1cm at the hip line. I joined the hem point to the hip point and then up tot he original line at the waist. This gives an overall tighter fit as you are removing some of the ease over the hip. I also moved the back seam in 1cm. This came to a point approximately 10-12cm below the hip line. Made sure when you are doing this that your lines flow easily & there are no jerky joins to original seam lines. Also, may I remind you at this point there are no seam allowances on this pattern. 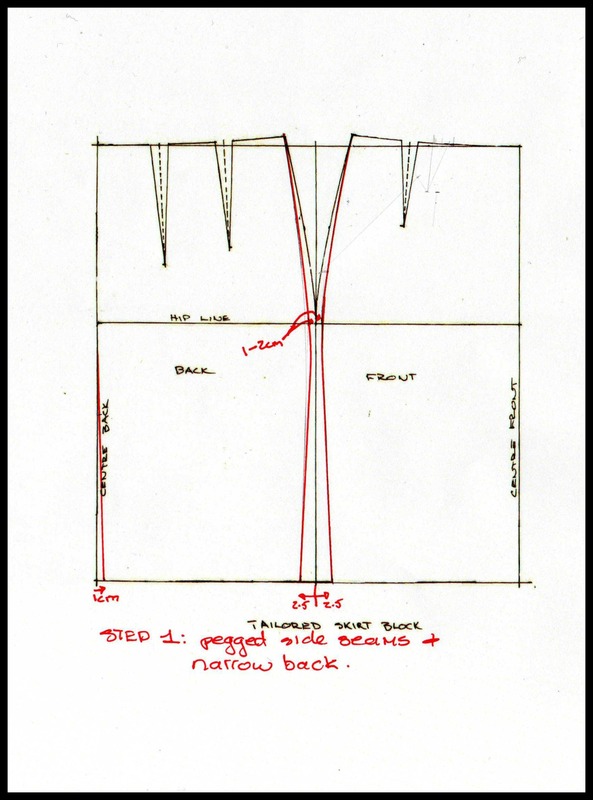 All the lines you are drawing are going to be your stitching lines – seam allowances will be added at the end. Now to move the dart & change the angle of it. 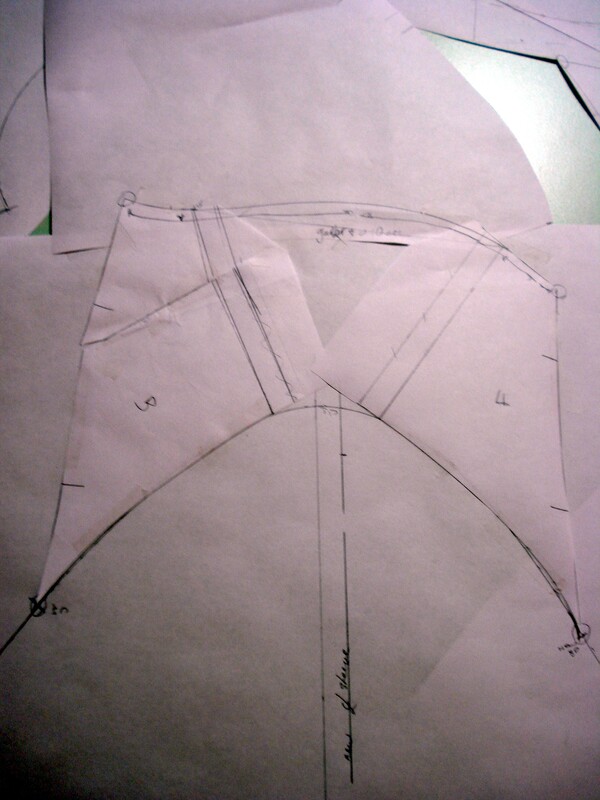 I wanted the dart to angle towards the hip & to be further from the side seam to accommodate the pocket. I moved the dart position towards the centre by 3cm and shortened it by 3cm. The original dart was 10cm long, but I didn’t want the pocket to be that low down. Also, the style line had to be altered, so when redrawing the dart I didn’t keep it on the same plane as the original. The left leg of the dart runs almost parallel to the centre front. The dart is still the same width, 2cm. Drawing in the stlye line of the pocket. I started about 5cm up from the hip line and played with various combinations of angles to get this right. It really will be up to you as to where it all ends up, but the sketch shows where my pocket eventually ended up. I did two toiles to get this to just the right place, so maybe you could start by drawing on a toile to get the correct placement for you. The base of the dart will be the jumping off point for the pocket, so think about the angles between the right dart leg, the pocket opening line & the return. 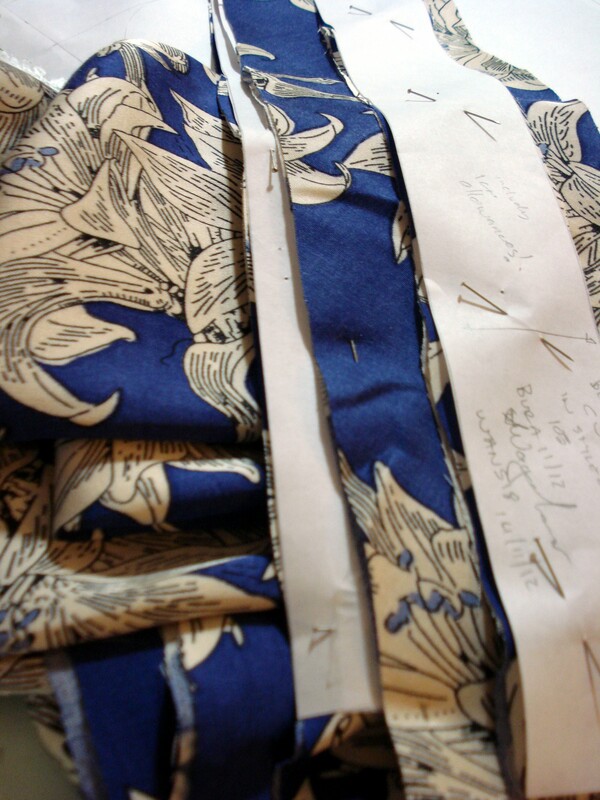 the dart legs will become seams for the skirt front & the hip yoke pocket piece, eliminating the dart as such. Trace off the pocket pieces as seperate items. You will have a hip yoke pocket piece, a pocket bag & the skirt front & the back. The red lines on my pattern here are the cutting lines. Remember to add notches, grainlines and name the pattern pieces! Also, at this point you will need to add seam allowances. Add 1.5cm everywhere and don’t forget the hem. For a good weight on a skirt like this add 3-4cm. The finished pattern pieces for Veronica, all ready for seams & sewing! I am working on making this pattern available as a pdf download. If you’d be interested, please leave a comment below. Ok, so the 2 for 1 jacket finally has a name! Sometimes you just need some space and good music to get the ball really rolling. And I have to confess to having a most bizzar collection of tunes. The one that got my steam up was Seether’s, Rise Above This. Does anyone else listen to music while they sew? I cannot work when it’s quiet. So here is the rest of the jacket. I must also confess that I sort of lost track of taking photos as I got more and more into the making up process! Oops! I will be better next time, promise! I had left of the last time at the shoulder stage, ready for the collar. 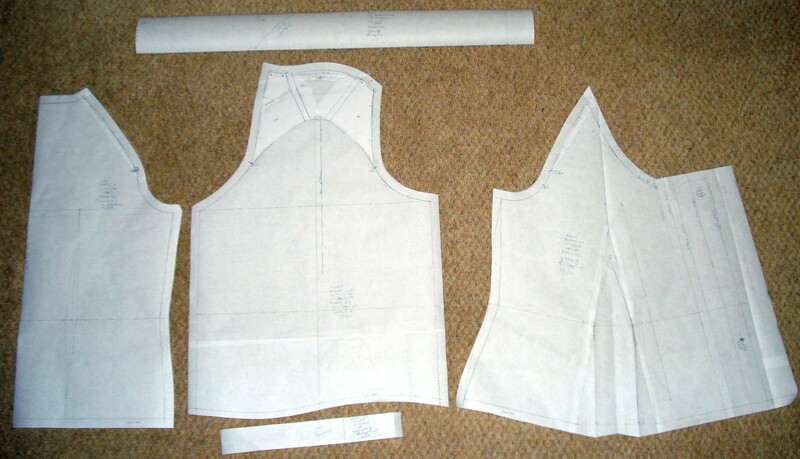 The under collar is cut on the bias in two pieces, and is slightly smaller than the top collar. If you have a pattern that uses the same pattern piece for both, trace it off and put a seamline down the centre back of the under-collar and change the grainline to bias. Add between 2.5 and 5mm on the outside edges of the upper-collar to allow for turn of cloth. 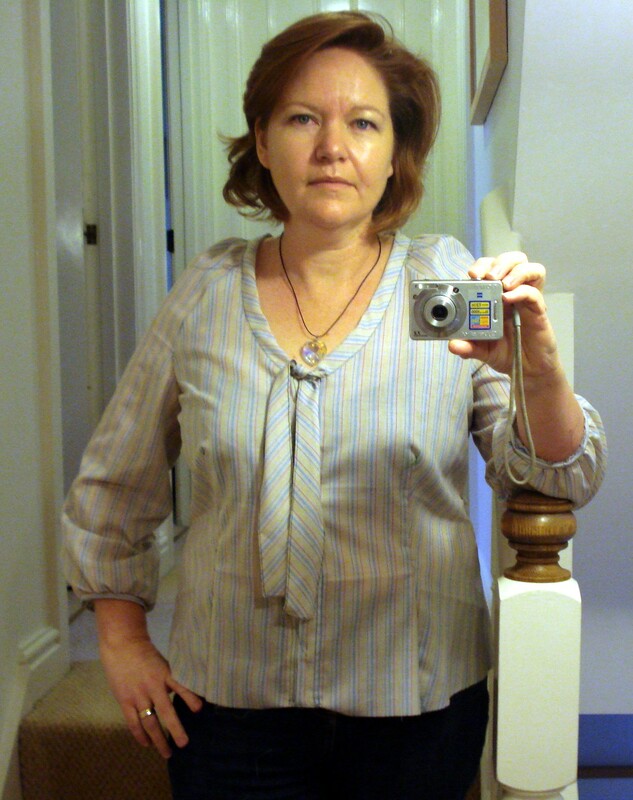 Do not be tempted to just make the under-collar smaller. 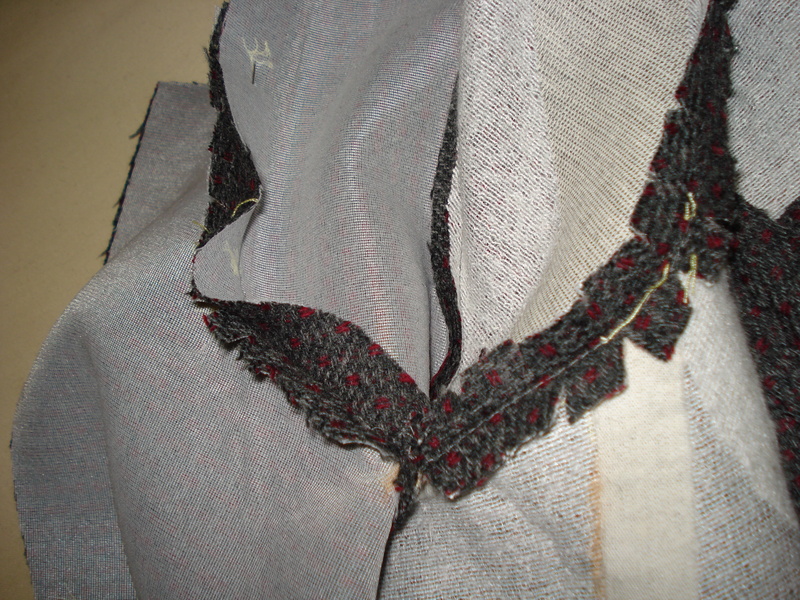 I interfaced the under collar with weft insertion on the bias, then sewed the two together at the centre back. To ensure a good stand, I use a fusible canvas on the under collar. This is cut without seam allowance, on the bias. The upper collar gets a lighter interfacing, I used the fine sheer, but if you find your collar is not keeping shape, you could reinforce with some fusible canvas. I clip the neck edge of the jacket at approx. 1.5cm intervals to the stay stitch line and then pin the collar on from the centre out – from the jacket side, not the collar side. the clipping helps to open out the curve and allows for easing. When you sew the under-collar on, start and stop exactly on the podmark for the collar attachment on the neckline. Next pin the upper collar to the under collar, taking care to line up the outside edges. Because you have cut the upper larger than the lower you will have to ease the extra in. Pin parallel to your edge, instead of perpendicular as this will help to avoid catching tucks. Then snip the neckline edge of the facing and sew the upper collar to the facing. There will be a teeny tiny gap at the junction of the collars and the revers. This you hand hand-stitch closed. 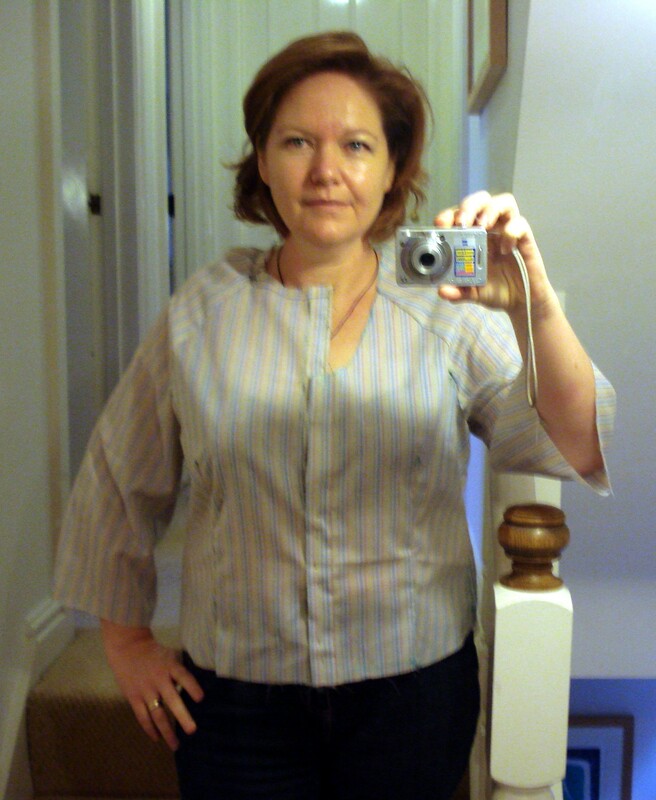 Layer your collar and neckline seams and press them open over a ham. Now we come to the part where I got carried away with the making and forgot to take pictures! With the collar done you can sew up the side seams of the jacket and do the sleeves. The sleeve heads should be interfaced with a crescent shape, 10cm deep at the centre. 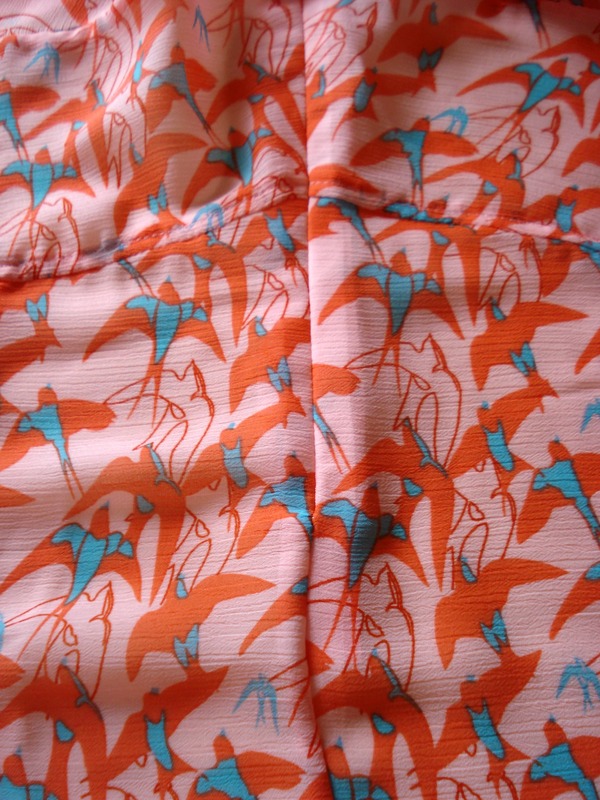 You can’t see all of this so clearly on my sleeves because I inserted a contrast pleat panel. And that was my run of photos!! I will take some of the next jacket I do, from the sleeve stage onwards, promise!! Basically from here on the sleeve seams need to be joined, and the gathering stitch on the head. Now for jackets you can follow the normal 2 rows of gathering stitch, or try something different. I do one line of gathering, 2cm from the edge of the fabric. I ease the fullness along this line, making sure there is no actual gathering, no tucking or puckering. What I am after is for the sleeve head to form the sort of shape it will have when in the armhole. When the shape is right, I pin it into the armhole from the sleeve side. 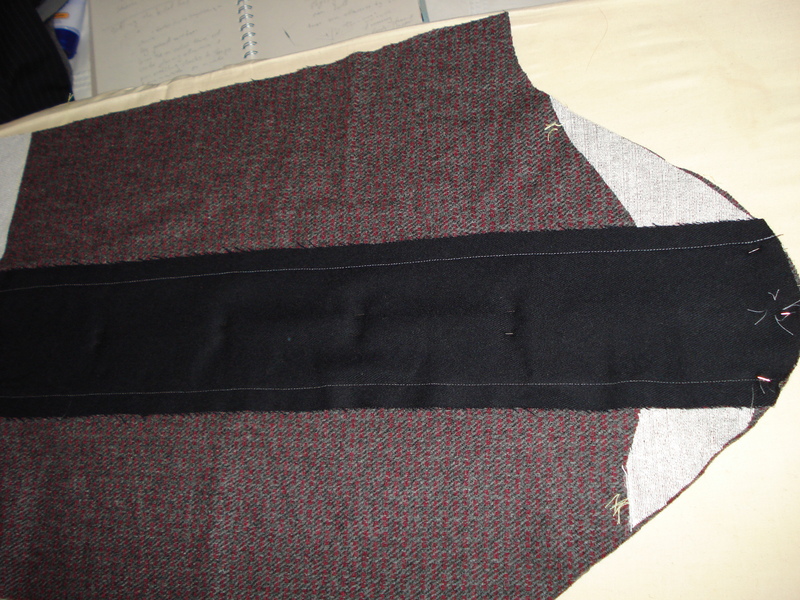 Once the sleeve is in, I use an interfaced bias cut strip, about 5cm wide of jacket fabric and fold in half lengthways. Then this is sew into the sleeve head to support the cap. I was going to try to continue without pictures, but I don’t think it is working!! Here is the finished garment! 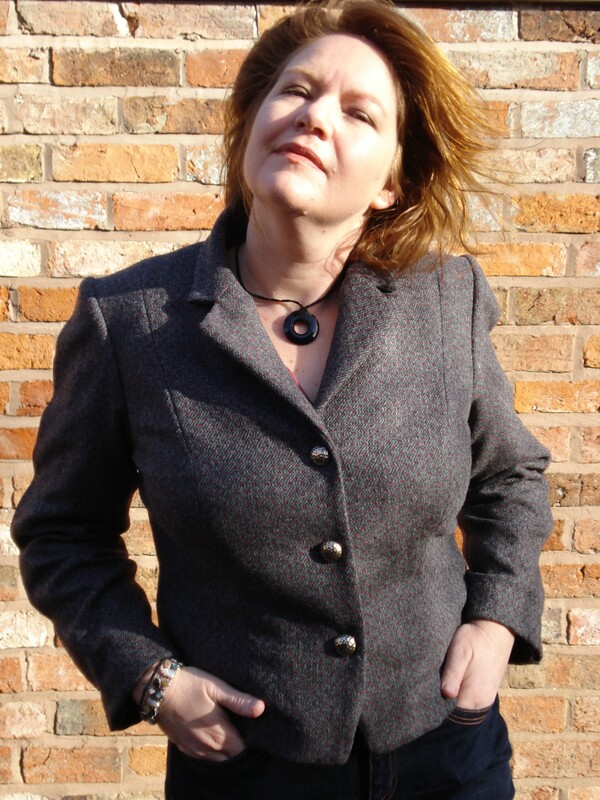 It was a rather windy day to take photos, I kept getting hair in my eyes, or my mouth! there are more pictures on Burdastyle, until I pop more on this blog, but they will be in their own post.